Most theme parks are not places you seek out for their food. After all, you can only eat so many subpar hotdogs, chicken nuggets, and burgers before you’re craving something different and delicious. 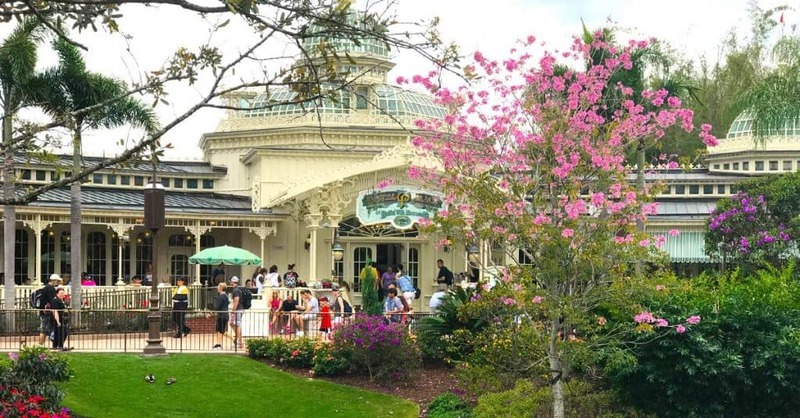 Luckily, Disney World is the exception to this rule, and Magic Kingdom is one of the very best places in Disney World to tuck into some tasty grub. Of course, those looking for especially awesome food will want to skip the quick-service joints and go all out at one of the table-service eateries. Therefore, we will be using this article to discuss the many table-service options in Magic Kingdom and what you might want to know before you go. Let’s start with a Magic Kingdom classic: Tony’s Town Square Restaurant. This yummy Italian food joint is a wonderful place to spend an afternoon or evening in the most magical place on earth. The Lady and the Tramp theme is as charming as it gets, and the location on Main Street, U.S.A. is super convenient. Want to take full advantage of the location? Try to get a seat near the window during the afternoon parade for a meal and a show! Another Main Street eatery, The Plaza Restaurant is the perfect spot to cool off and grab a nice light lunch or dinner. This cute little eatery is perfectly priced, with a fantastic menu of affordable sandwiches and salads that we love. Still, despite the relatively low prices, The Plaza Restaurant has a lovely, upscale feel that is sure to please everyone in your party. Perhaps the best part of this restaurant is the location. Looking out the windows of The Plaza, guests are greeted with a view of the busting hub and plenty of happy people. Grab a bottomless milkshake and pass some time daydreaming while enjoying some of the best people-watching there is! One of the very best things about Disney World is the opportunity to dine with characters. 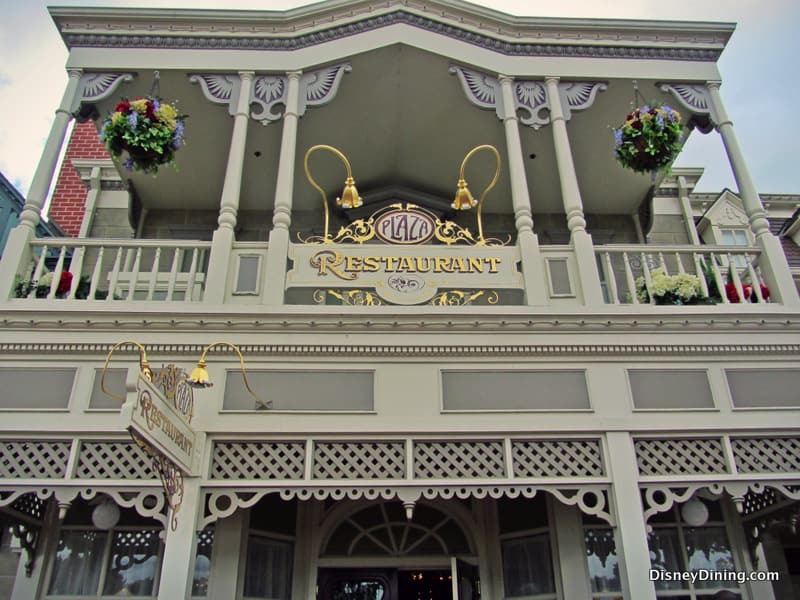 Luckily, Magic Kingdom offers a couple of different character dining options, and Crystal Palace is one of them. Crystal Palace is a buffet-style eatery, which means everyone will leave full and happy. Breakfast features yummy, made-to-order omelettes and the famous “Pooh’s Puffed French Toast”. At lunchtime you can enjoy such delicious options as carved meats and yummy vegetables of all sorts. That said, while all of the food is fabulous, the biggest reason to visit Crystal Palace is the character aspect of the dining experience. Pooh and his friends from Hundred Acre Wood are the special visitors at this meal, and they do a fantastic job of making the experience a wonderful one. These days it seems everyone is clambering for a Be Our Guest reservation, and once you visit you’ll understand why. The theming is beyond phenomenal, and walking into this eatery feels exactly like walking into the Beast’s castle. While this restaurant is a quick-service joint during the day, at night it transforms into an elegant table-service place. We recommend trying both options if at all possible, because both are wonderful in their own ways. However, we will stick to dinner for this article. 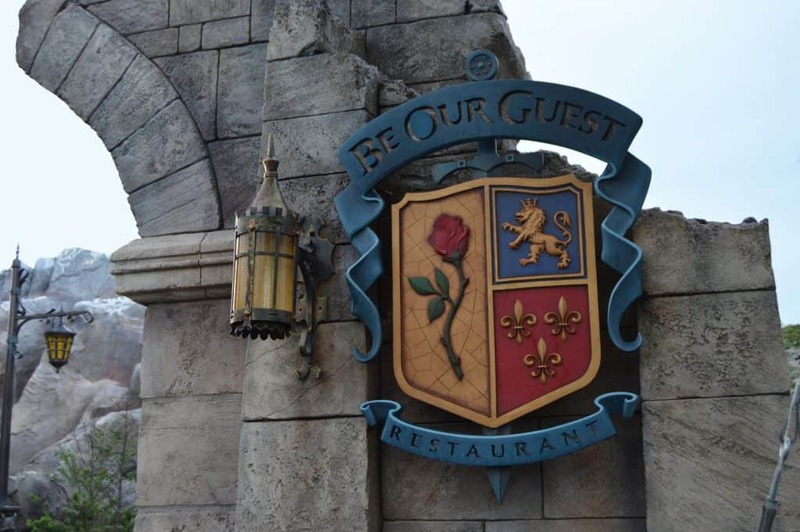 The dinner menu at Be Our Guest consists of a variety of French-inspired dishes that are absolutely incredible. 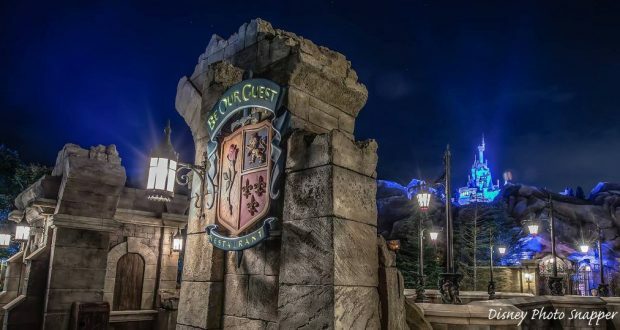 Not to be outdone by the amazing food and theming, the servers are also amazing, and the meet-and-greet with the Beast is the ideal way to end a perfect meal. Perhaps even more popular than Be Our Guest is Cinderella’s Royal Table. 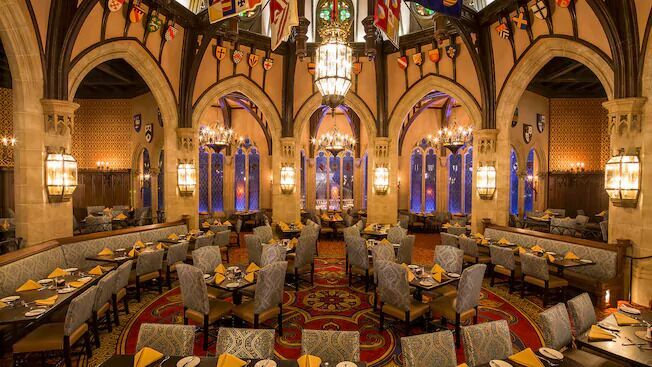 Located inside of the castle, dining at this location is a magical experience that is a dream come true for many. Guests are greeted by a smiling Cinderella before being ushered into the royal dining room, which is incredibly detailed and never fails to disappoint. From there, visitors are treated to a fine dining experience, complete with amazing themed desserts. During the meal, all diners are visited by several princesses, all of whom are happy to take photos and sign autographs. This, of course, makes the whole event especially spectacular and puts this restaurant at the top of many princess fans’ wish lists. 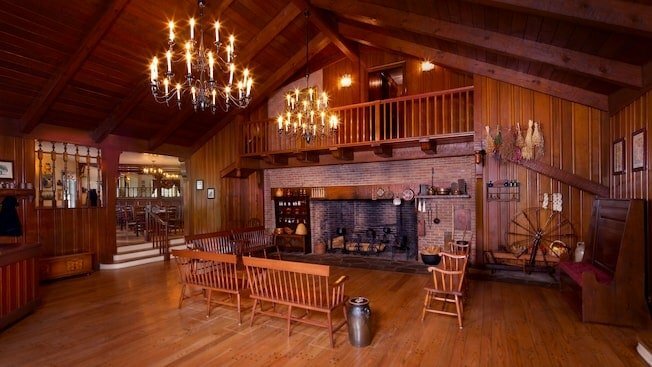 If comfort food is something you enjoy, you’ll love Liberty Tree Tavern. 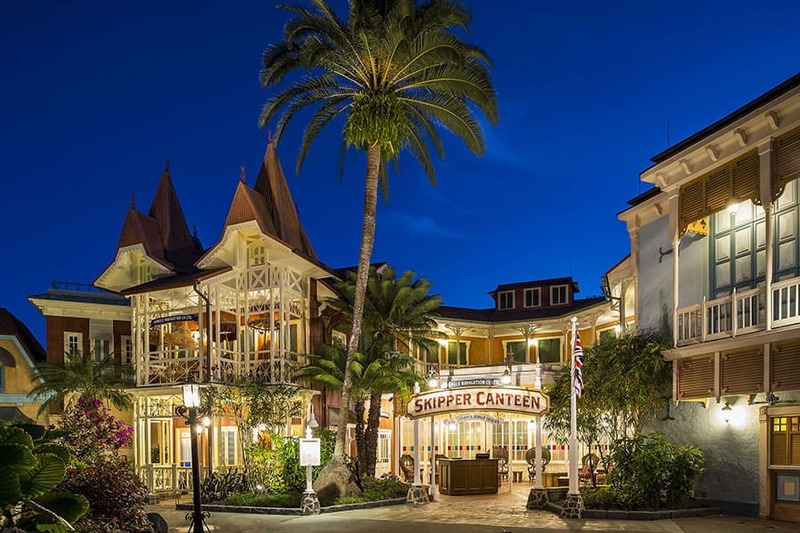 Located in Liberty Square, this restaurant is themed in such a way that guests feel as though they’ve been transported back to the 1700s the moment they walk through the door. The staff are all wearing period clothes, the decor is well chosen, and even the food is something akin to what a colonial person may have enjoyed. During lunch hours, food is served just as it would be at any other restaurant. However, once dinner rolls around, everything is served family-style, and the foods served create an amazing feast, much like what the typical American family enjoys on Thanksgiving Day. Not only that, but additional servings of all those delicious foods are included in the price of your meal, meaning you can eat as much as your heart desires. 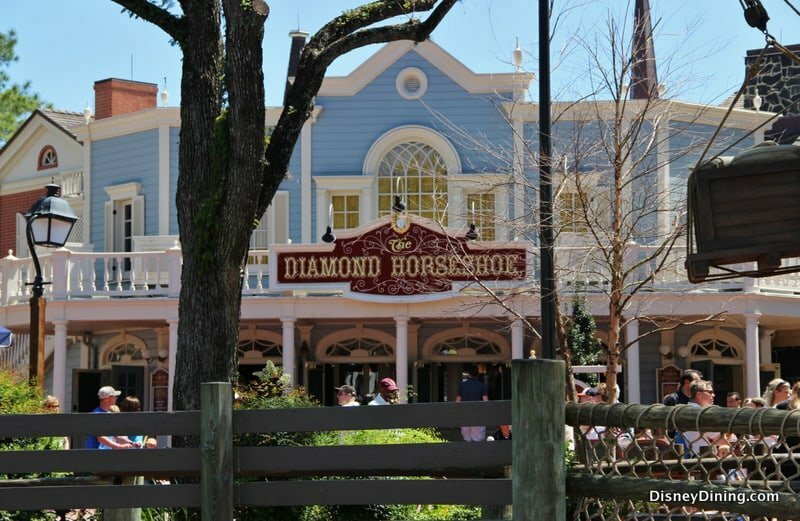 Unfortunately Diamond Horseshoe is a seasonal location, meaning we only ever see it open when the crowd levels are incredibly high at Magic Kingdom. This means many vacationers never get the opportunity to dine here. 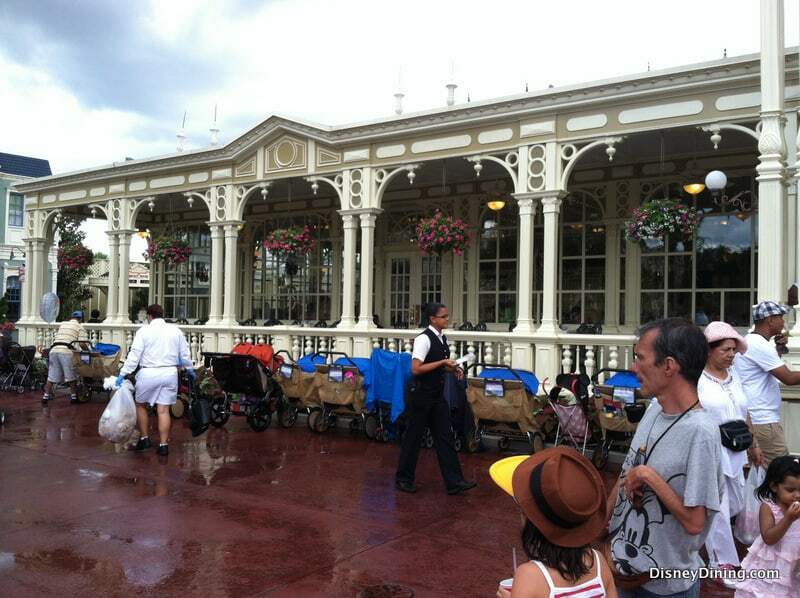 Those who do eat at Diamond Horseshoe seem to like the barbecue fare just fine. That said, while the food is tasty, there is little else to make this location stand out, and more often than not it goes completely unnoticed. Finally, there is Magic Kingdom’s latest table-service addition, Jungle Navigation Co. Ltd Skipper Canteen. This eatery is an excellent extension of Adventureland that is completely themed after the Jungle Cruise ride. Servers here fill the dinner (or lunch) conversation with plenty of bad puns, the decor is much like the silly decor found in the Jungle Cruise queue, and all the food is inspired by exotic cuisine of far-off lands. We highly recommend this restaurant to anyone looking for unique cuisine and some really bad (but still funny) jokes.